The Flight 191 Memorial is the result of many years of dedicated effort by family and friends of those who were lost. The Des Plaines Park District is proud to have played a small part in the realization of this dream. Flight 191 Memorial Dedication Fact Sheet. Click Here. Flight 191 Memorial Dedication Invitation. Click Here. Student Journey Speech. Click Here. 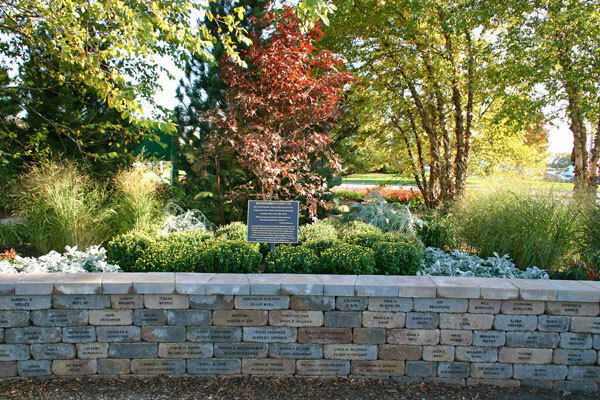 A collection of news stories, photos, and video of the Flight 191 Memorial Dedication, on October 15, 2011 is available Here. A selection of photos from the Flight 191 Memorial Dedication, on October 15, 2011 can be viewed Here. 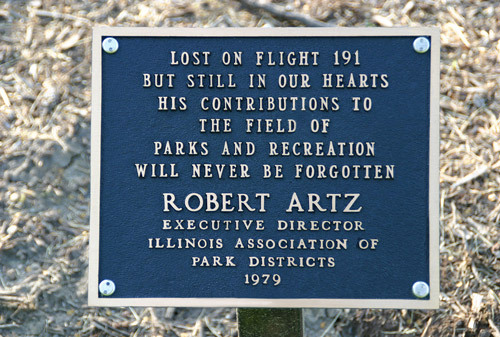 We remember Robert Artz, Executive Director of the Illinois Association of Park Districts. 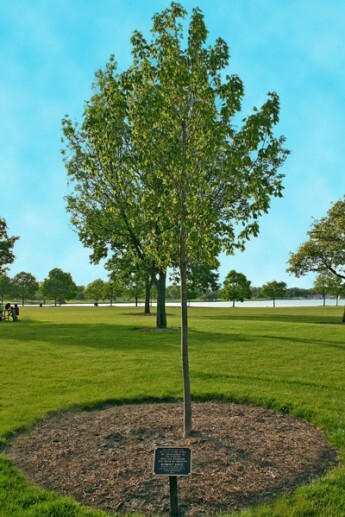 In his memory, the IAPD has planted a tree and installed a plaque near the Memorial wall in Lake Park. 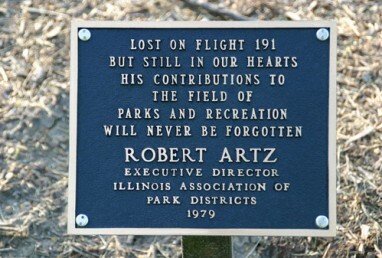 Robert Artz, Executive Director of the Illinois Association of Park Districts was lost on Flight 191.